Sometimes I justify purchases on the basis that they’re ‘for the kids’. My eldest son is going through an outer space phase – I’m thinking of snapping up one of these incredible storage units and crossing my fingers that his space obsession passes. So that I can have the piece for myself. 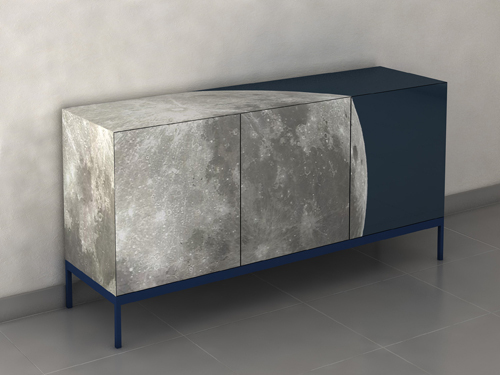 The Full Moon credenza is the work of Italian designer Sotirios Papadopoulos. 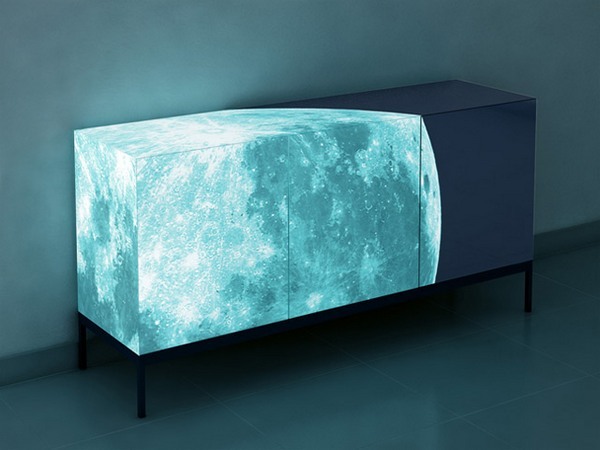 The most striking feature of this beautifully crafted cabinet is the overlaid photo-realistic image of the full moon. If that’s not impressive enough for outer space fans, they’ll go into orbit to learn the moon glows in the dark. The image of the moon is coated with an eco-friendly material developed by Papadopoulos, which creates a realistic, luminous effect when the lights go out. And for the finishing touch, each of the limited edition Full Moon credenzas come with a CD of original music designed specifically for this piece. The Full Moon is available online at Generate LE – price on application.